Hiring a debt collection lawyer will take the burden off you and your company so you can continue with your daily business. For over 20 years, we have been committed to providing high quality legal representation for companies burdened with unpaid accounts receivable. Maybe you need the payment to meet your own obligations. Maybe you feel violated by a customer who walked away with your product or services. Maybe both. We are experienced and aggressive, seeking justice for our clients and helping relieve the cash flow problems that result from unpaid receivables. We’ve recovered millions of dollars in commercial debt for our clients, and work aggressively to get you results as quickly as possible. Our fee structure is very affordable, offering a contingency, hourly or blended (hybrid) option. 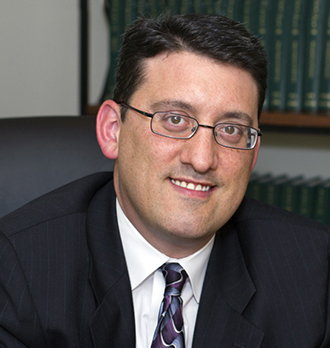 Jonathan Bender is the principal of Bender Commercial Collection Law firm. A 1996 graduate of Rutgers Law School in Camden, Mr. Bender established his practice in 2000 and work exclusively in commercial collections. Mr. Bender is a member of the bar in New Jersey and New York (active status), as well as Pennsylvania and Florida (inactive status). He is also admitted to Federal Court in the Districts of New Jersey, Southern and Eastern Districts of New York (active status), and to the Eastern District of Pennsylvania (inactive status) and U.S. Court of Federal Claims. Mr. Bender is a member of the New Jersey State Bar Association and several chambers of commerce and sits on the local board of the American Red Cross. In his spare time, Mr. Bender enjoys reading history and is an avid boxing fan. He resides in Cherry Hill, New Jersey with his wife and four children. Whatever your industry, unpaid receivables hit you where it hurts — the bottom line. Most of our clients come to us when they already have collection issues. Our goal is to help you collect the delinquent receivables that are currently owed to you, and to help you implement procedures to minimize them in the future. We therefore offer an array of business collection services ranging from Accounts Receivable Collection Litigation to helping you develop internal credit and collection policies. We also offer low-cost demand letter services designed to avoid unnecessary litigation and assist creditors and other attorneys with post-judgment collections. To learn more about our services, visit our Services page or click the links below. We handle only commercial (B2B) collection matters, with over 20 years’ experience helping businesses collect unpaid receivables throughout New Jersey. You’re entitled to courteous treatment and our best professional efforts. Our goal is to get you results and earn your trust and good will. Since most of our work is referrals and repeat clients, we never forget that your satisfaction is the key to our own success. You are not a number in a litigation mill. You’re not dealing primarily with support staff. Mr. Bender personally reviews your file, investigates the debtor and litigates your claims. More than 20 years handling commercial (B2B) collection litigation. We handle only commercial (B2B) collection litigation. Your success begins with thorough attorney preparation. Aggressive pressure to resolve the matter quickly and save you litigation costs. You receive regular updates, prompt responses and open access to your attorney. Flexible fee options in the form of contingency, hourly or blended (hybrid) fee arrangements. If you’re not ready yet to engage us for litigation, we offer a complimentary DIY collection letter and a minimal flat-fee, collection attorney demand letter service. Once you engage us, we apply immediate, aggressive pressure to resolve the matter quickly and save you litigation costs. Before filing, we typically send the debtor an unfiled draft of the lawsuit with a final demand for payment. This lets the debtor know that we’re serious and ready to file. If the matter then resolves, it saves you time and hundreds of dollars in filing and service fees. If not, we file the suit and work aggressively towards judgment. Our general approach is to take an aggressive stance early on, and maintain it until you recover payment. Your file receives the direct attention of an experienced commercial collection attorney. Mr. Bender does not delegate to support staff the review of your claim or our own debtor investigations. We believe your success begins with thorough attorney preparation. Throughout the entire process, you will receive regular updates, prompt responses and open communication from Mr. Bender directly. Unlike many larger firms, we can offer you more flexible fee options in the form of contingency, hourly or blended (hybrid) fee arrangements.